WESTBOROUGH, Mass. — Stakeholders have until Feb. 25 to comment in ISO-NE’s first implementation of the public policy requirements of FERC Order 1000. The RTO is seeking stakeholder comments on federal, state and local statutes and regulations that could require new transmission. It is the first of an eight-step process outlined to the Planning Advisory Committee on Wednesday that could result in a transmission study and a competitive procurement. Comments should be emailed to PublicPolicy@iso-ne.com. The New England States Committee on Electricity (NESCOE) has until April 1 to identify federal and state policy requirements. The RTO also can identify such requirements, along with local (municipal and county) requirements. Stakeholders’ responses to NESCOE will be due 15 days afterward. If transmission needs are identified as a result of the process, the RTO will provide a draft scope for a public policy transmission study. Current rules call for ISO-NE to provide a draft scope for the study by June 1, although it is seeking a Tariff change to push the date back to Sept. 1. If the RTO decides to seek a transmission upgrade, it will invite qualified transmission project sponsors to submit proposals. After evaluating the proposals and PAC input, the RTO will narrow the “stage one” proposals to finalists eligible to submit more detailed “stage two” proposals, one of which will be selected as the preferred solution. ISO-NE will monitor milestones until the project is completed and in service. ISO-NE rejected a request that it conduct an independent analysis on whether state renewable energy and carbon reduction policies are creating a need for additional transmission. The D.C. 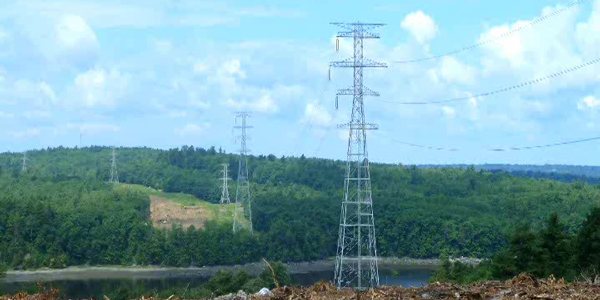 Circuit Court of Appeals rejected challenges to FERC Order 1000 by New England Transmission Owners and state officials. New England’s needs for energy infrastructure moved to ISO-NE as stakeholders began discussing the potential for major transmission projects under FERC Order 1000.